Ueno's hometown is in Kakogawa, Hyogo Prefecture. She grew up as the youngest of three sisters. After his father's factory failed, the family had to to let go of the big house they were living in. Right before she was cast in her first CM when she was in her 2nd year of junior high, her mom suddenly passed away with an unidentified illness. She was 45 years young. "I've heard about her mom getting sick but she passed away soon afterward. I remember the day of the wake was very cold. The youngest child Juri-chan was also in attendance, the 3 sisters were very stouthearted..."
In an interview on the show "NEWS ZERO" in 2009, "I met and talked with my agency's president in Kobe right before my mom's condition was deteriorating and losing consciousness. She was on her deathbed but she was smiling with tears in her eyes," Ueno said. Despite her mom's severe condition, she shed tears of joy upon knowing that her daughter would be in show business. Ueno's grandmother from her dad's side is currently living several blocks away from the big house where the family used to live. She would think back on the time when her mom was still alive whenever she passes by. After Ueno's mom passed away, she looked forward to the day when she could finally complete compulsory education by graduating from junior high. "I wanted to be able to support my life with my own two hands. I wanted to live on my own power," said Juri. The day after she graduated from junior high, she went to Tokyo alone. Her mother's words always held dear to her heart. In an interview earlier, "When my mother was still alive, I remember she said she would wish to see me on television if I liked acting," she revealed. 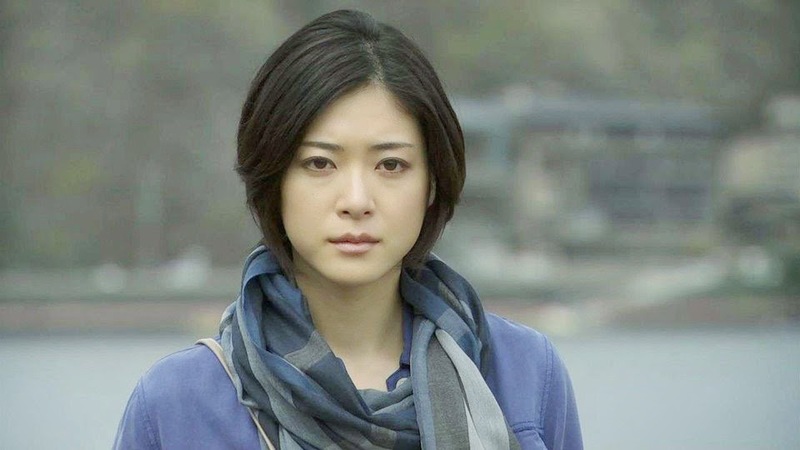 In order to fulfill her mother's dying wish, Ueno tried desperately to walk on the path to become an actress. "She was simply put into a situation where she must endure all the pain alone and she has hung in there so far. She may have come from a disadvantaged environment but you could also say that it was the environment that gave birth to her talent in acting. The adversity of overcoming the death of her mother seems to have made her mentally tough."